Although it was a chilly day, there was a warm welcome at the March Winter League show. Judge John Fletcher had some lovely horses forwards in the showing classes and he had much deliberating to do. Lessy Morely wth her gorgeous Sec A Munchkin stole 2 classes with Danielle Fenrich and Becca taking the part bred class. 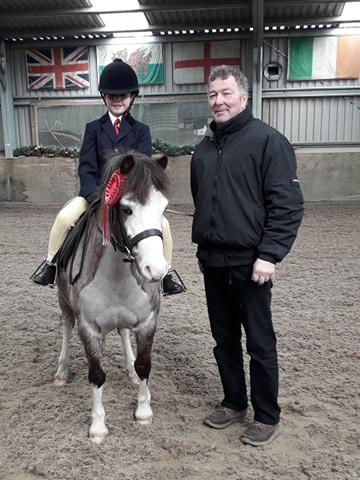 In the dressage classes Lessey once again took the honours in the Junior Section with Wendy Roberts and Mini…who was anything but…taking the Senior Section. In the Prelim 2 Tracy Maczka and Jilly’s Golden Charm took the top slot with the highest percentage of the day …a whopping 73.62%. Prelim 7 was claimed by Danielle Fenrich and Becca. The Novice winner was Rianne Futlon and Cav who also took home the ROR rosette. Big thanks to Team Starlight for their wonderfully presented indoor school, to Judges John Fletcher, Ginni Gristwood and Alison Dowling, Stewards Judith Allen, Sue Scott and Petra James, writers Muriel Gill and Sarah Lewis, scorers Chia and Petra James and Muriel Gill and refreshments and cake maker Jane Griffiths. *All horses and ponies must be correctly Vaccinated against Equine Influenza. *The last booster must have been given in the last six months. *No booster to have been given within seven days of the show. Horses may compete after completing the initial two injections of a new course provided the second injection was given two weeks before the show. Competitors must bring their horses passport with them to be checked before horses are unloaded. eventuallity, a decision will be made at TRC Committee Meeting on 12th March,2019. it has been more than six months since last vaccination, they strongly recommend discussing a booster with your vet. If you would like to be on a team or compete as an individual in the senior or junior FOTH Challenge please get in touch with your Chef Petra as soon as possible on 07977 210660. In order to compete your horse MUST be correctly vaccinated against equine flu. As a rider you will be asked to pay the entry fee which will be &18 for a team member or an individual. If you are unable to attend the competition once you have paid the Area fee, you will not be eligible for a refund unless another member takes your place. The Festival of the Horse Challenge (FOTH Challenge) is a test of the ability of a pony/horse and rider to negotiate a show jumping course together with a cross-country course. Senior Challenge 80, Challenge 90 and Challenge 100 for teams of four riders, (the best three scores to count) and individuals. Junior Challenge 80, Challenge 90 and Challenge 100 for teams of four riders, (the best three scores to count) and individuals. Open Challenge 80, for individuals (senior or junior) with open eligibility. For the 80 horses must not have any BE points nor may the rider have ridden at BRC or BE 100 competitions in the preceding calendar year. For the 80 Open there are no restrictions on horse or rider. For the 90 horses may have gained 1 BE point and for the 100 up to 20 BE points. Riders at this level must not have competed at FEI level in the preceding 5 years. There is no limit on BS points in any of the competitions. Please note that this competition will be run at Championships as SJ and XC and only for Area 21 qualifying purposes it will be run as Arena Eventing- minus the Joker fence. If you would like to take part in the Combined Training please contact your Chef Muriel 07940488301. Your horse MUST be correctly vaccinated for flu. As a rider you will be asked to pay the entry fee which will be £25 for a team member or an individual. 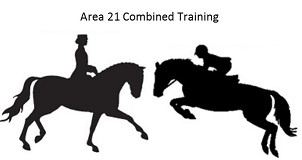 Combined Training consists of two phases, Dressage and Show Jumping and they must be taken in that order. The same horse and rider must complete both phases and elimination from one phase will result in elimination from the competition. Seniors for teams of four with the best three scores to count and individuals. Two team members compete in the Prelim/75 section and two in the Novice/85 section. Juniors for teams of four with the best three scores to count and individuals. Two team members to compete in the Prelim/75 section and two in the Novice/85 section. Talk is free to members with light refreshments available to buy. Lucy is the representative for Saracen Horse Feed clients in South West England and South Wales. Lucy has worked with event horses from grassroots to advanced level. During this time she developed an interest in feeding performance horses. 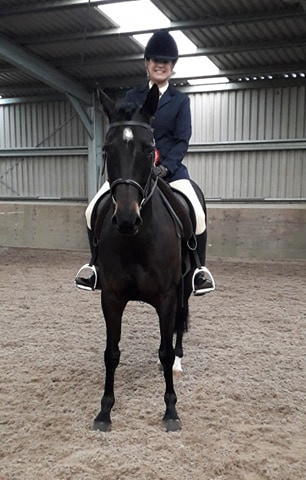 She has successfully competed her own horse to BE Novice level and represented her local Riding Clubat the National Championships in Horse Trials and Dressage. The plan for the day will be start at 10.30am with practical sessions about the importance of body condition scoring and weigh taping. The weighbridge will be used as a tool. There will be 4 demonstration horses which will be a Cob, TBred, Young horse and a Veteran. For each demonstration horse Lucy will advise how to devise a ration. Members may also bring along their own horse which she is willing to weigh and give ration advice if they so wish. Should you be interested in bringing your own horse please let Muriel know. Light refreshments will be available - Please come and support. From Newcastle Emlyn take the A475 towards Lampeter for 4.5 miles . There will be a large white sandwich board with an arrow directing you to turn left, be ready to turn quite sharply to the left and continue past the garage and down the driveway. The 35 seater coach will be leaving Rees Coaches of Crymych at 6am and the cost of the coach will be £20.00 per person and open to anyone who would like to go. 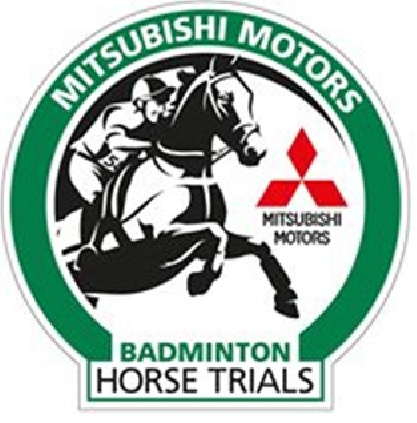 No entrance tickets will be bought in advance this year so each person will need to pay an entrance fee at Badminton on arrival. To secure your place please send your cheque made payable to Tivyside Riding Club to Muriel Gill, Glyncoed, Penybryn, Cardigan, Pembs SA43 2RX by Wednesday 24th of April 2019. Points can be gained when competing at BRC Club organised competitions only. 2. Compete at any Dressage (Walk & Trot and Prelim Level) or Show Jumping (60cms & 70cms) BRC Club organised competition. 4. Post your completed points card back to BRC HQ by the 7th of the following month. 5. Finally, wait for the results. You may win a fantastic prize! Rosettes, trophies and prizes are provided in kind, to include a training session with a world class trainer.